I know everyone loves math problems, so here is one for you. What is 39.1 percent of zero? I suspect even those who find math an arduous task know the answer is zero to this problem. It appears everyone except the president and congress that is. Although the president does not seem to know how to do simple math problems, it does not seem to prevent him and his administration from wanting to add new bills to taxpayers with grand ideas of free community college. The Hill recently reported that the cost of “free” community colleges could cost the American taxpayer an estimated $60 billion over the next decade. Meanwhile, the administration continues to ignore the idea of restitution for HBCUs who have been historically underfunded by both state and federal governments since their inception. As you recall, the administration gave 100 plus HBCUs only $850 million over a decade. Quite the gap, given both serve virtually the same communities and students. Former HBCU Digest editor Autumn Arnett in an interview pointed out that, “HBCUs were truly in a better position under President George W. Bush than they have been under President Obama.” The president and his administration’s policies toward HBCUs have potentially cost the institutions multiple billions when you factor in the Parent PLUS loan debacle that sent many students home and the longer term implications of students who would have graduated and become alumni donors. So how can we pay for this grand plan of “free” community college, right the wrongs of HBCU funding, and get the support of the American taxpayer? 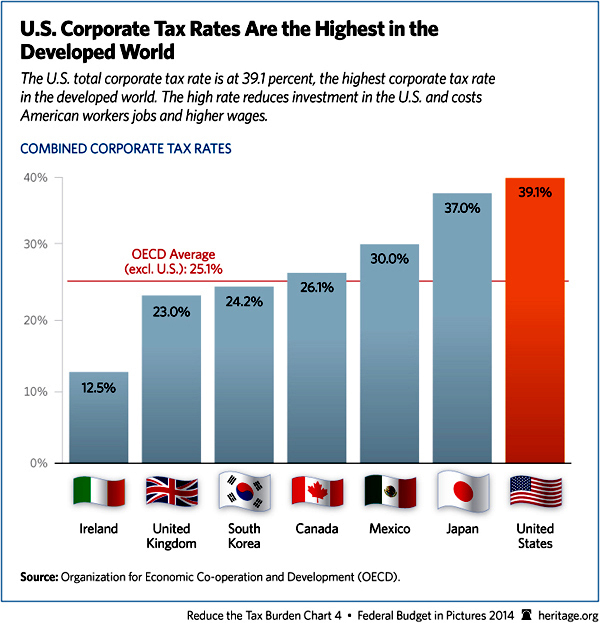 Tap into a $2.1 trillion piggy bank that American corporations are keeping abroad and refusing to bring home because of the world’s highest corporate tax rate of 39.1 percent (below). The idea of giving corporations a tax holiday has been floating around the past few years as the cash hoard they have abroad continues to amass. Unfortunately, due to the drubbing that happen to the federal government in 2004 giving a tax holiday to corporations there is little motivation to do so again. According to a report from the Democratic staff of the Senate Permanent Subcommittee on Investigations; the tax holiday cost the U.S. treasury $3.3 billion in tax revenues, saw the companies that received tax holidays cut 20 000 jobs, and decrease their research spending. This despite the Wall Street Journal reporting, “When Congress passed the repatriation tax holiday in 2004, the legislation specified that the funds should be earmarked for activities like hiring workers or conducting research and prohibited using the money for executive compensation or buying back stock.” So why on earth would I suggest we do it, again? I love my kids, but I do not know anyone who is a parent who would give their child a bag of candy, tell the child they can have one piece, and then leave the room and not expect to come back to an empty bag. Why did the federal government not A) enforce penalties for non-compliance B) have the companies put the funds into organizations that conduct job training and/or independent research facilities? Again, why leave it up to the corporation to do the right thing here. The temptation for the companies to not comply seems asininely discernible. After all their fiduciary responsibility is first and foremost to the shareholders of the company. This time around however, President Obama and congress could offer the corporations a tax holiday at 10 percent (a subtle penalty for the previous 2004 digression) that would generate $210 billion. Corporations would have to put $210 billion or ten percent of the amount they choose to bring back during the holiday period into the newly created New America Education Endowment, where it would then be disbursed to the institutions themselves within 90 days of receipt. $100 billion could be set aside for the community college program because let us face it, if the government says $60 billion is the cost, it is safe to assume it is more. Now, depending on what number you feel HBCUs deserve would be up for debate, but if it is less than $31.5 billion (representative of Africa America’s population percentage), then HBCU advocates should be up in arms. The remaining $80 billion would go to vocational training programs, improving K-12 schools, and student loan relief. The latter is becoming an ever increasing danger for the 40 and under population in America. America as a whole now carries over $1 trillion in student loan debt, which while making the country very educated is also making it so indebted that it will never be able to reap the benefits of that education. However, I would not be in favor of including debt relief from for-profit colleges, but that is my own personal bias against them. It should be noted that in order for the holiday to take effect, the administration must set a minimum amount that must be repatriated for it to take effect. 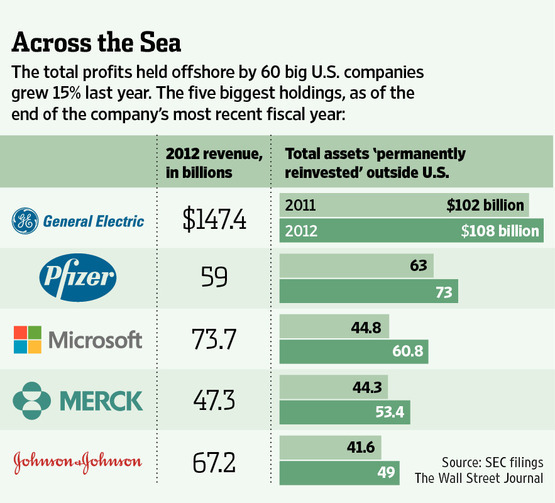 Otherwise, corporations may not bring enough back to fund the new endowment program. Again, have the government set the terms in this case not instead of allowing for malleable terms as before. I am sure there could and will be some argument by a great many groups in the country and their interest for the usage of some of the funding, but the point of the matter here is there is money available to achieve the president’s ambition to cement his legacy and a great many other things. In this case, President Obama actually would get support from a Republican led congress and senate and probably opposition from his own party. Although, support could get complicated if the president decides to exclude those receiving free community college (see class warfare argument) who have whatever the administration deems as upper class income, which may boost support from his party, but in a Republican controlled house and senate may not be worth the fight. It could also considerably spur both parties to create some corporate tax reform. However, given how long the country has been waiting on any sort of tax reform just getting the holiday passed seems to have more fortuitous odds than any rational governing. An instance where both parties can show effort toward a more moderate governance would do well for both parties approval ratings in the eyes of the public, which is near all-time lows. Ultimately, we need a more educated country, which includes a long overdue redress historically for HBCUs and although “free” community colleges are still questionable versus a major K-12 investment, taxpayers can not feel they are on the hook for another pie in the sky ideal. Nor can corporations simply be left to Do The Right Thing. An opportunity to try a new model where tax funds go directly into the public institutions and programs that need it as opposed to being subject to governmental red tape and bureaucracy is also at stake. After all, even shareholders are going to soon be clamoring for these mountains of cash to be returned to them in the form of dividends and they will be met with the same math that the U.S. Treasury was a decade ago. Any percentage of 100 percent of zero is still zero – and that is a losing proposition for all stakeholders involved. This entry was posted in Editorial and tagged barack obama, community college, HBCUs. Bookmark the permalink.